WELCOME TO OUR LITTLE SILVER SALON! 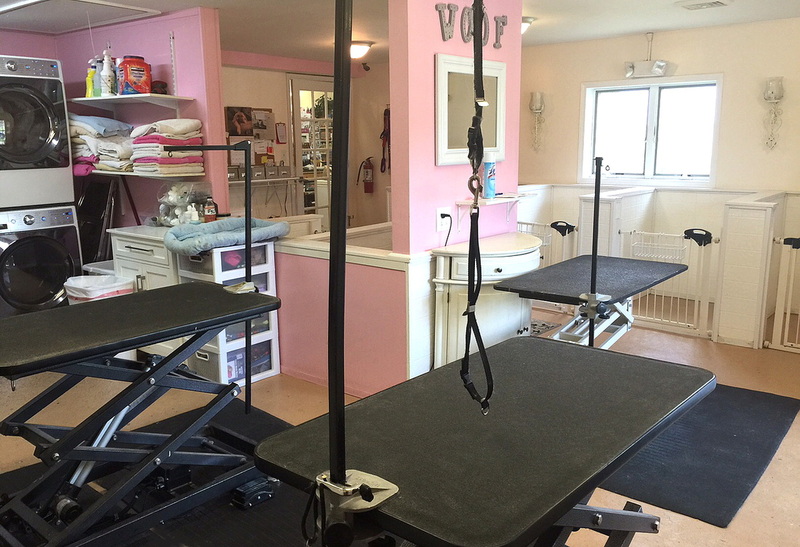 Voted one of the best grooming salons in Monmouth County, the Dog Spaw of Little Silver provides the finest in professional pet grooming services while incorporating exclusive, five star amenities to help your pet be as comfortable and relaxed as possible during their service with us. As always, our salon offers the highest level of attention for all breeds & sizes from puppyhood to elderly seniors and is open 7 days a week to accommodate your schedule. Reservations are mandatory. Private & relaxing "open top" suites with bedding, toy & water that accommodates all breed sizes or multiple pets in the home. All clients are kept separate from each other for the safety of all. Services are by an appointment to appointment basis. Waiting area provided to pet owners who wish to stay during their pet's grooming service. Complimentary beverage service available. Our grooming staff consists of all woman who are highly skilled in their field, been taught at reputable grooming schools and perform services with gentle and caring handling. Hand stripping services available for wired hair coated dogs. Only the highest quality ph-balanced, all natural products used; even during flea dips. Free nutritional counseling for pets experiencing skin/coat/ear issues. 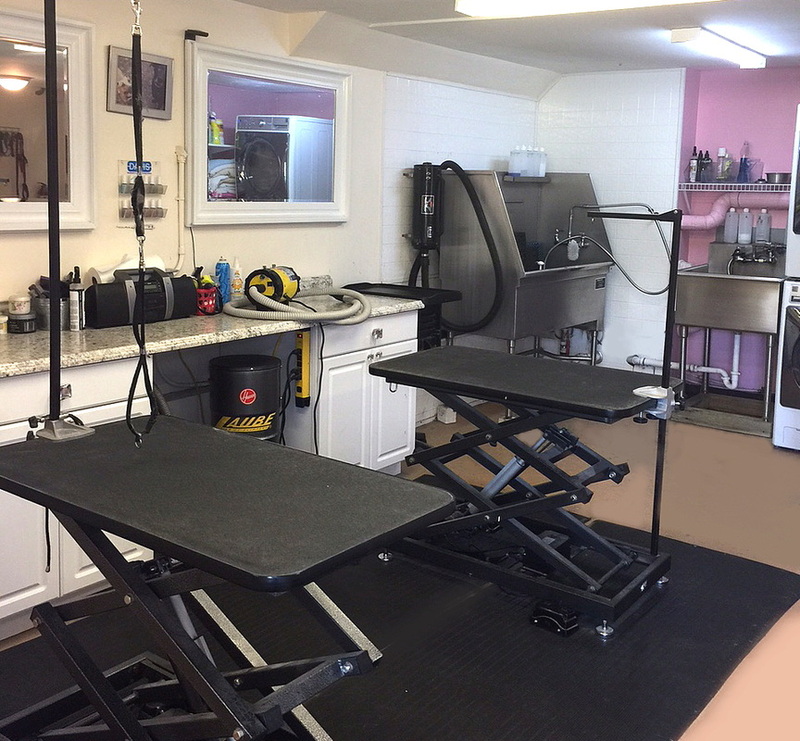 Mobile dog grooming﻿ services also available for your convenience if you live in Monmouth County with certified groomers Kristina, Ebony and Amy. 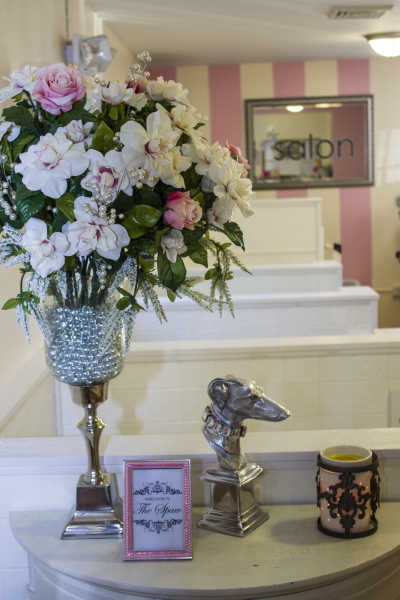 ​Camera surveillance throughout the salon. We groom 7 days a week both in-salon and mobile!